IPSec | CCIE or Null! IKE main mode, aggressive mode, & phase 2. IKE Phase 1 works in one of two modes, main mode or aggressive mode now of course both of these modes operate differently and we will cover both of these modes. IKE Phase 1 operating in main mode works with both parties exchanging a total of 6 packets, that’s right 6 packets is all it takes to complete phase 1. 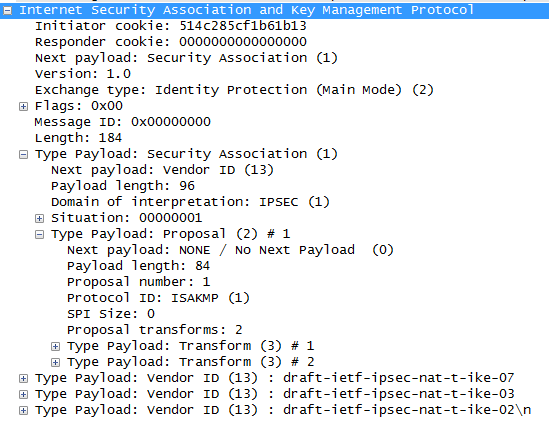 The second packet is sent from the remote endpoint back to the initiator, this packet will be the exact same information matching the ISAKMP policy sent by the initiator. This fourth packet as you would expect comes from the remote endpoint back to initiator and contains the remote endpoints Key Exchange and Nonce payload. 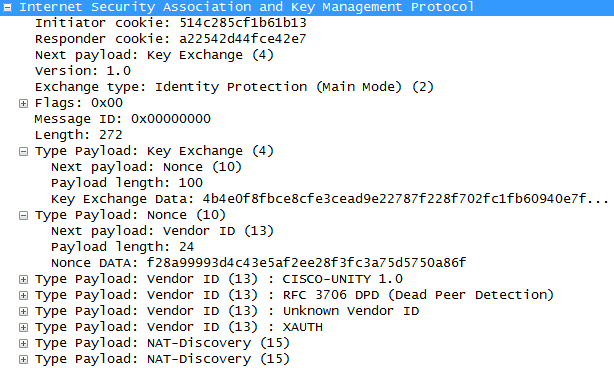 The sixth packet from the remote endpoint to the initiator contains the corresponding hash payloads to verify the exchange. IKE Phase 1 operating in aggressive mode only exchanges 3 packets compared to the 6 packets used in main mode. One downside in aggressive is the fact it not as secure as main mode. The first packet from the initiator contains enough information for the remote endpoint to generate its DH secret, so this one packet is equivalent to the first four packets in main mode. The third packet from the initiator includes identity and hash payloads. After the remote endpoint receives this packet it simply calculates its hash payload and verifies it matches, if it matches then phase one is established. Now let’s look at IKE Phase 2, IKE Phase 2 occurs after phase 1 and is also known as quick mode and this process is only 3 packets. 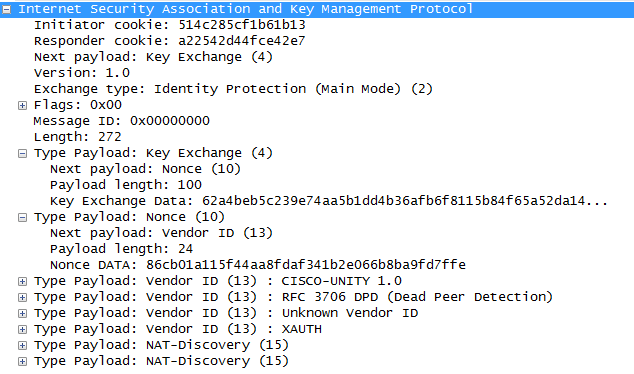 Perfect Forward Secrecy PFS, if PFS is configured on both endpoints the will generate a new DH key for phase 2/quick mode. 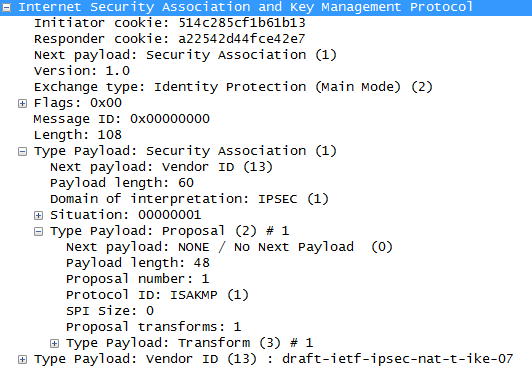 The second packet contains the remote endpoint’s response with matching IPSec parameters. The last packet is sent to the remote device to verify the other device is still there and is an active peer. That last packet concludes the forming an IPSec tunnel and the phase 1/2 process. Quick Mode packets with encrypted payload. All 9 packets of the Phase 1 (Main Mode) and Phase 2 process.